In mid 2005 I met with Mr. Smith in Cape Town to ask his permission to commission an oil on canvas painting of his attack on a rail yard in the Po Valley, Italy during WW11. After discussing the project over lunch in Simons Town he not only agreed to the painting but also graciously agreed to sign all 550 prints (“50 artist proofs” and 500 “limited editions”). 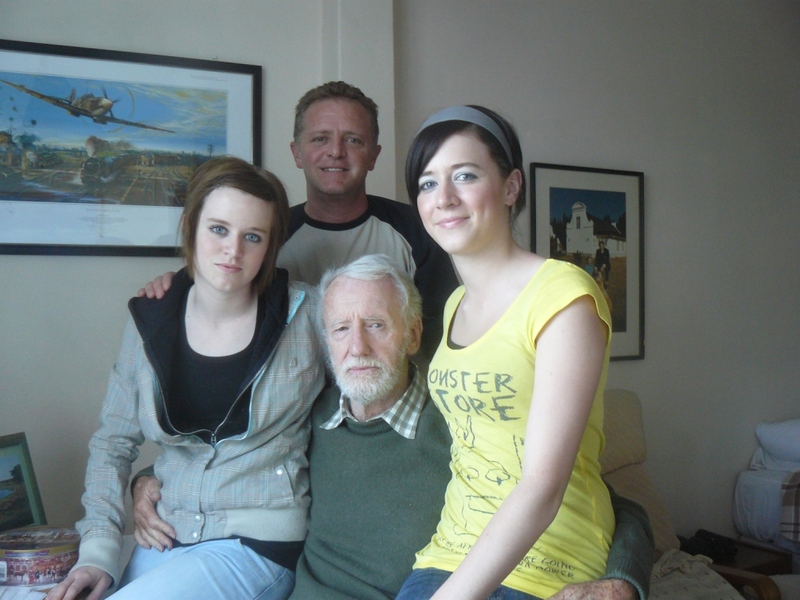 I returned to Edmonton, Canada and approached world renowned Aviation Artist Robert Bailey http://www.baileyprints.com/. Robert did a pencil sketch of the scene described in Mr. Smith’s book “The Great Betrayal” which Mr. Smith viewed and gave consent to continue with the original painting. 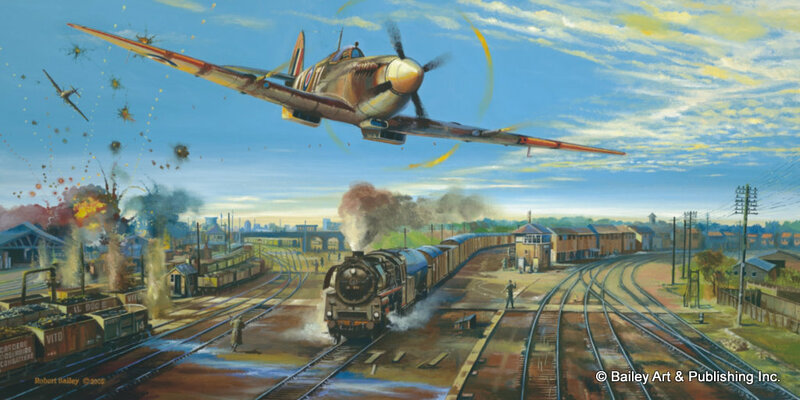 July 1944 Captain Ian Smith of 237 (Rhodesia) Squadron, RAF, attacks a rail yard in the Po Valley, Italy. During this attack, Cpt. Smith was shot down by flak but escaped capture until he was found by the Italian partisans, before returning to England. Captain Smith went on to become the Prime Minister of Rhodesia, (now Zimbabwe), in April 1964. On November 11, 1965, he declared Rhodesia’s independence from Britain, the first commonwealth Prime Minister to do so. Mr Smith signed all of the prints as did the artist Robert Bailey. P.O. Box 22034, Mesa, Arizona 85277-2034, U.S.A.